Electric motors generate power and torque using electrical energy. AC induction motors draw power and torque using electromagnetic induction. They are durable, efficient, and often available in three-phase forms for heavy-duty applications. 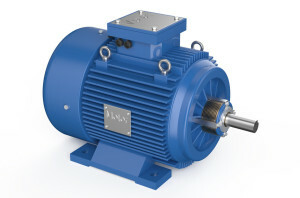 AC reluctance motors generate torque through the induction of non-permanent magnetic poles. Permanent magnet motors produce torque through an interaction between a rotor and integrated magnetic field and are highly efficient in smaller applications. DC motors generate mechanical torque with DC voltage and have simpler speed controls than AC motors. Brushed DC motors are used in light applications. Brushless DC motors produce an AC signal through an integrated inverter and require less maintenance than brushed motors. They are also more efficient and offer more torque per weight and watt. © 2016 TSB Industrial Supply. Web Design by ICEE Social.